The first step in preventing any email attacks is to monitor your incoming emails. When it comes to the cybersecurity of your company, you’re often thinking about firewalls and two-factor authentication, more advanced measures that might seem mysterious. What about email? You might take your email client for granted, while also thinking that you’re not vulnerable because your email is secure. 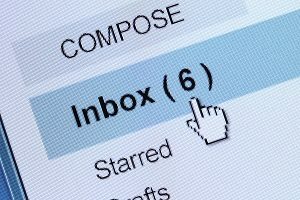 Here are some ways to shield your business from the effects of a devastating email attack. Although antivirus programs can find and prevent malware from email attacks, you should still reinforce your email security. To do this, establish an email gateway that you host on your business campus or set up such a defensive measure in your company’s cloud storage server. With this gateway up and running, you can block spam, viruses, malware, and anything else that might threaten the security of your company’s physical building or its digital infrastructure and network. Make sure you keep all relevant business software up to to date with the latest patches. Once you do, you will boost the program’s performance and also ensure that email attacks can’t exploit any hidden vulnerabilities that you don’t already recognize. Spoofing and phishing are two types of online attacks that hackers will attempt to use to steal passwords or other sensitive information. Look out for suspicious links either in the subject line or in the body of unexpected emails and especially in the attachments. Your cybersecurity training needs to evolve. Even when you have certified network security and system administrators who can deal with any potential problems, even your average employees will need some training. Likewise, company higher-ups could benefit from such training as well. One way to test their awareness is to stage phishing drills much like how you would arrange fire drills and other emergency preparedness drills. This entry was posted on Thursday, May 24th, 2018 at 3:00 pm. Both comments and pings are currently closed.